Dental implants are a permanent solution to missing teeth. With proper care, they can last a lifetime, potentially making them one of your most cost-effective options. A consultation with Dr. Skutak will help determine whether dental implants are right for you, and our skilled team can help guide you through the entire process. After your initial consultation with Dr. Skutak, an oral surgeon will place an implant into the bone at the region where the tooth is missing. Your mouth is then given time to heal. After healing, the crown is designed and fabricated. 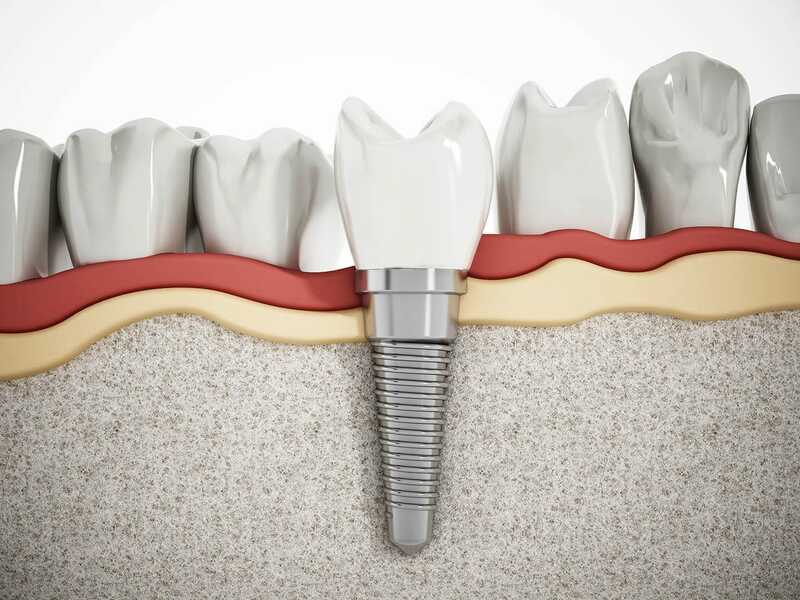 Once fully healed, the implant acts as a tooth root for your new crown. It is attached to the implant via the abutment, giving you a comfortable, natural-looking and permanent restoration. Although they can have a larger upfront cost, dental implants are one of the most cost-effective long-term treatments for missing teeth. Their permanence ensures a lifetime of smiles that require the same type of maintenance as your natural teeth. Just brush and floss as normal and make sure you are going to your regular checkups and cleanings. Dr. Skutak and the team at Skutak Dental love helping patients get their smiles back. Give us a call at (715) 355-4433 to see if dental implants are right for you. And you can always stop by at 700 Eagle Nest Boulevard, Suite E, Rothschild, WI 54474 to get the process started.